PAWA Dominicana marks a new milestone in the Caribbean’s aviation industry with the arrival of its first passenger service to Miami from Santo Domingo, making it the first commercial Dominican airline to offer flights to the United States in over 20 years. The airline’s new route, which was announced at a press conference Wednesday, will start Nov. 16, 2016 and tickets are already available for purchase online. The airline will connect the Dominican Republic capital and South Florida with two daily flights offered every day of the week. 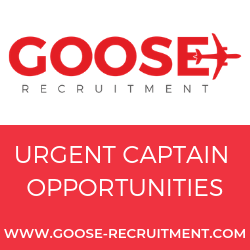 In addition, the airline’s routes will allow for quick connections to other popular Caribbean destinations like Curacao, St. Maarten, Antigua, Port Au Prince, Aruba, Puerto Rico and Havana. “In the case of Cuba, an attractive destination for Miami’s residents given the large community of Cuban expats who have settled in the city, Pawa offers a unique multi-destination opportunity to explore Santo Domingo and Havana in one trip,” said the Chairman of Pawa Dominicana’s Board of Directors, Luis Ramirez. The Director of the Dominican Republic Office of Tourism in Miami, Wendy Justo, was also present at the press conference to stress the importance of this announcement in increasing travel to the Dominican Republic. “This is good news for everyone, especially for travelers who wish to see our Dominican capital and experience the beauty that characterizes our island,” said Justo. “Pawa offers a different experience with an emphasis on the human aspect of customer service,” stated Pawa Dominicana U.S. Country Manager Daniel Castillo. “We offer the broadest variety of ticket sales channels, in addition to the typical Dominican warmth, both on board and on ground. Additionally, our punctuality rate has exceeded 93 percent during our first year of operations,” said Castillo. According to the Dominican Republic Office of Tourism in Miami, the city Miami is one of the busiest destinations to and from Santo Domingo, so the opening of this route is greatly anticipated by passengers. New York will be the next destination in the airline’s expansion plan, which includes new direct flights to San Juan, Puerto Rico, from Punta Cana. Pawa Dominicana is the Dominican Republic’s flagship airline and aims to position Santo Domingo as the Latin American hub for Caribbean travel. 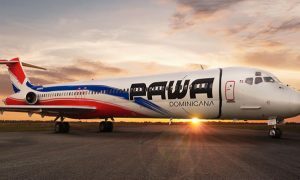 Pawa Dominicana began operations in August 2015, has an investment of over $53 million to date, a total of 298 direct employees, and a projection of over 116,000 passengers by the end of 2016.